The reservations have been made. The flights have been booked. And the bags are packed. Tomorrow morning, we will be heading to Israel on another tour of this beautiful land. My tour group will meet in Tel Aviv on Tuesday afternoon and begin our adventure. I can not wait. I will be posting here every evening and give you an update on what we have seen, where we have been, and what we have learned. So stay tuned. For those members of my tour group: Travel safe and Lord willing, I will see all of you in Israel! 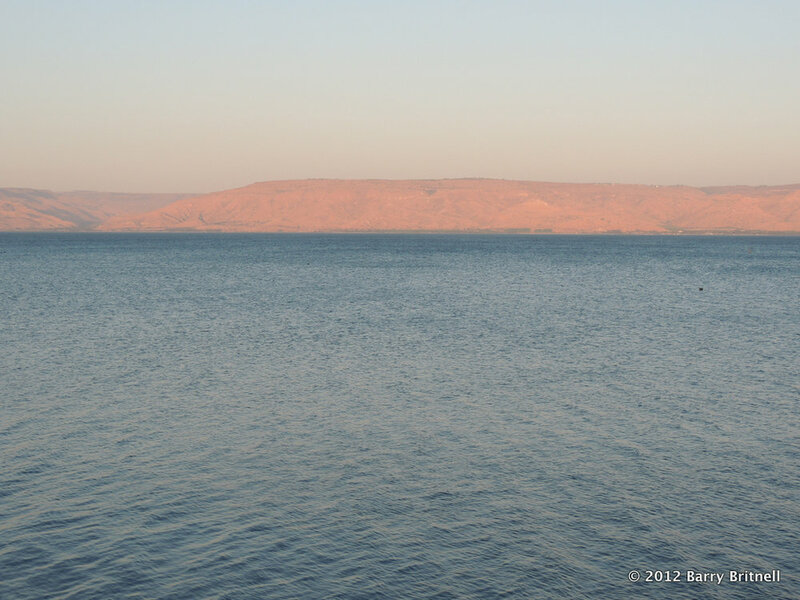 NOTE: The picture above is looking east from Tiberias across the Sea of Galilee. Well, our first full day in Israel was a complete success. We left Netanya at 8:00AM and drove north toward Caesarea Maritima. Caesarea was a very large and important city in the first century. Among other things, it is the home of Cornelius. Cornelius was a just man and after seeing a vision, asked his men to go to Joppa and look for Peter. Having landed yesterday in Tel Aviv (which is adjacent to Joppa), we have traveled the same route that those men took so long ago. The ruins at Caesarea Maritima are impressive. You can see the theater, the location of Herod's palace, the hippodrome as well as many other sites. It enables you to get a great perspective of this city and makes you appreciate the Scriptures even more. As you know, Paul was imprisoned in Herod's palace for a period of two years awaiting trial. From the excavations, we know that the palace was immediately adjacent to the hippodrome. So, imagine Paul sitting in his room listening to the cheers of thousands of people as they enjoyed the activities in the hippodrome, knowing that he could not go out and watch. That is something that isn't mentioned in scripture, but becomes evident when you see the city for yourself. From Caesarea Maritima, we went up into the Carmel Mountain Range and visited the traditional site of the contest between Elijah and the prophets of Baal. Again, the geographical references mentioned in Scripture come to light when you visit the site. From the top, you can see the area where all of the Israelite people would have watched. You can see the Kishon Brook in the valley below where the prophets were killed. And, you can see the Mediterranean Sea where the young man with Elijah reported seeing the small cloud which eventually developed into a large rainstorm. We continued on to Megiddo, which has ruins dating back several thousand years. We walked through the gate which was constructed during the reign of Solomon. And, we walked down the deep tunnel that was constructed by King Ahab to securely get water into the city. From the tel of Megiddo, you have an unforgettable view of the Jezreel Valley, where many famous battles have been fought over the millennia. You can clearly see why the city of Megiddo was so important during ancient times. We ended our day by driving through Nazareth (where Jesus grew up), Cana (where Jesus performed his first miracle) and saw the tel of Gath-hepher (the birthplace of Jonah). We finally arrived in the city of Tiberias on the shore of the Sea of Galilee. Tomorrow starts off with a boat ride on the Sea of Galilee. The same sea where Peter, Andrew, James and John used to fish. And the same sea that Jesus calmed during a terrible storm. What a great way to start the day.